Renters Insurance Quote, Carlsbad, CA. Great Rates! If you rent a house or apartment, your landlord’s insurance will only cover the costs of repairing the building if there is a fire or other disaster. You need your own coverage, known as renters or tenants insurance in order to financially protect yourself and your belongings. The following checklist can help you choose the right coverage when you are shopping around for renters insurance or speaking with an insurance agent or company representative. How much insurance should I buy? Make sure you have enough insurance to replace all of your personal possessions in the event of a burglary, fire or other covered disaster.The easiest way to determine the value of all your personal possessions—including furniture, clothing, electronics, appliances, kitchen utensils and even linens—is to create a home inventory. This is a detailed list of all of your personal possessions along with their estimated value. An up-to-date home inventory will also make filing an insurance claim faster and easier. The Insurance Information Institute offers free Web-based home inventory software, available at www.knowyourstuff.org. Should I get replacement cost or actual cash value coverage? An actual cash value policy pays to replace your possessions minus a deduction for depreciation whereas a replacement cost policy will pay the cost of replacing your possessions without accounting for depreciation. The price of replacement cost coverage is about 10 percent more but can be well worth the extra expense as the value of most items tends to depreciate quickly. What disasters are—and are not—covered? 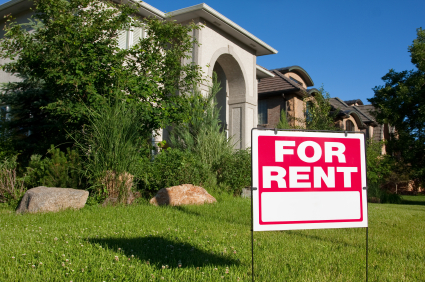 Renters insurance covers you against losses from fire or smoke, lightning, vandalism, theft, explosion, windstorm and certain types of water damage (such as when the tenant upstairs leaves the water running in the bathtub and floods out your apartment or a burst pipe). Most renters insurance policies, however, do not cover floods. Flood coverage is available from the federal government’s National Flood Insurance Program (888-379-9531, www.floodsmart.gov and from a few private insurers. You can get this coverage from the same agent or company representative who sold you the renters insurance policy. Earthquakes are not covered either. You can either get a separate policy or have it added as an “endorsement” to your renters policy, depending on where you live. What is my deductible, and how does it work? A deductible is an amount of money you pay out-of-pocket before the insurance coverage kicks in. Deductibles are available as a specified dollar amount, typically $500, $1000 or $2000, though higher deductibles are available. The larger the deductible, the lower the premium charged for the same amount of coverage, so if you can afford a deductible of at least $1,000, you may get as much as 25 percent off your premium. Remember though, that you will be responsible for paying the deductible each time you file a claim. What is a “floater” and do I need one? If you have expensive jewelry, furs, sports or musical equipment, or collectibles, consider adding a floater to your policy. Most standard renters policies offer only a limited dollar amount for such items; a floater is a separate policy that provides additional insurance for your valuables and covers them if they are accidentally lost. You will need to present receipts and/or appraisals for the items covered by the floater. It is important that expensive items be appraised properly as you will pay a premium based on the appraised value and in the event of a claim, be compensated for this dollar amount. You can ask your insurer to recommend a reputable appraiser. For some items, like laptop computers, a stand-alone policy may also be an option. Check your renters policy first to see whether your laptop is covered and what the deductible is. Do I have enough liability insurance in the event someone sues me? Renters insurance provides liability protection that covers you against lawsuits for bodily injury or property damage done by you, your family members and even your pets. This coverage pays for both the cost of defending you in court and court awards—up to the limit of your policy. Most standard renters insurance policies will generally provide at least $100,000 of liability coverage, but additional amounts are available. Consider whether the amount of liability coverage provided by your policy is sufficient to protect your assets. Did you know you also have no-fault medical coverage as part of the liability protection provided by your renters policy? This coverage is only for injuries sustained by others and is not a substitute for your own health insurance. Medical payments coverage allows someone who gets injured on your property to simply submit his or her medical bills directly to your insurance company so the bills can be paid without resorting to a lawsuit. Most policies include about $1,000 to $5,000 worth of this coverage. Do I need an umbrella liability policy? If you need a large amount of liability protection, you can purchase a personal umbrella liability policy. An umbrella policy kicks in when you reach the limit on the underlying liability coverage provided by your renters or auto policy. It will also cover you for things such as libel and slander. For about $150 to $300 per year, you can buy a $1 million personal umbrella liability policy. The next million will cost about $75 and $50 for every million after that. Because the personal umbrella policy goes into effect after the underlying coverage is exhausted, there are certain limits that usually must be met in order to purchase this coverage. Most insurers will want you to have about $250,000 of liability insurance on your auto policy and $300,000 of liability insurance on your renters policy before selling you an umbrella liability policy for $1 million of additional coverage. If I can’t live in my home after a disaster, will I be covered? If your home is destroyed by a disaster that your policy covers and you need to live elsewhere, renters insurance provides additional living expenses (ALE). ALE pays for hotel bills, temporary rentals, restaurant meals and other expenses you incur while your home is being repaired or rebuilt. It is important to know out how much coverage you have, and what the limits are. Some companies provide coverage for a set amount of time, while others have a financial cap. I run a business out of my home; do I need supplemental coverage? A typical homeowners or renters policy provides only $2,500 coverage for business equipment which is generally not enough to replace all of the equipment required by even a small home business. You may also need coverage for liability and lost income. Insurance companies differ considerably in the types of business coverages they offer. Some may meet the specific needs of your business, while others may not. So it is wise to shop around for coverage options as well as price. Am I covered if I am traveling or away from home? Most renters polices include what is called off-premises coverage. This means that belongings that are outside of your home are covered against the same disasters listed in your policy. For example, property stolen from your car would be covered. However some companies may limit the amount of off-premises theft to 10 percent of the amount of personal possessions insurance. If you think you need additional off-premises theft coverage—for example if you travel a lot—shop around for a policy that has the insurance protection you need. Companies offer several types of discounts, but these can vary widely by company and by state, so review your options carefully. Also, some employers and professional associations administer group insurance programs that may offer a better deal than you can get elsewhere. Let Carlsbad General Insurance help you choose a policy that will fit your individual needs. Protecting your assets, whether personal, business, or both, is our goal. A well-chosen policy can lessen the impact of some of life’s most common, yet unforeseen perils. We’re here to help when you are considering Auto coverage.